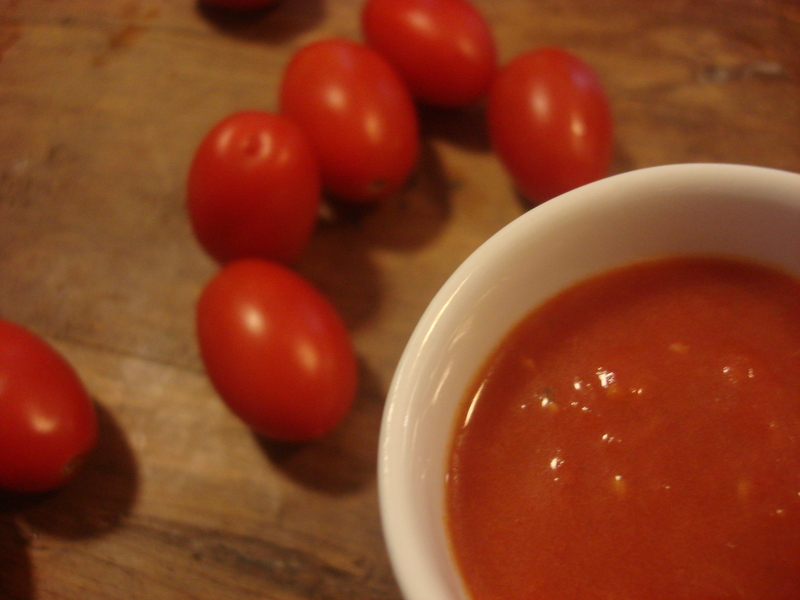 Fresh Tomato Sauce – Criollo-Style! 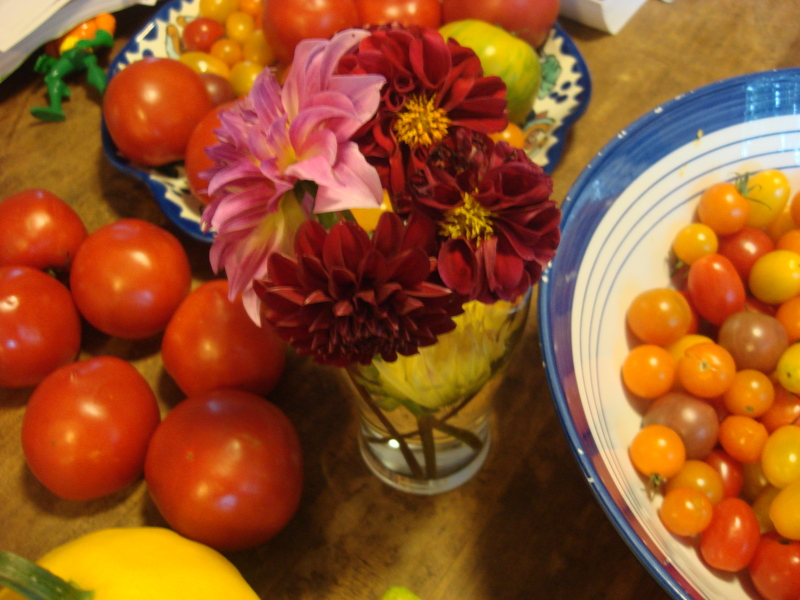 We anticipate a lot of flooding from Hurricane Irene, but the inundation I have been dealing with is far more pleasant: tomatoes. At Restoration Farm pick-up on Thursday, Farmer Dan’s dad, Daniel Holmes, heard I intended to make sauce and came up with four generous pounds of “seconds”: tomatoes that were harvested but don’t look pretty enough for distribution; a little bruised, maybe split, over-ripe – glorious grabbing for a peasant-hearted person. I was eager to take them, then of course got home and thought…oh s**t, I have to do these like, now, or what’s the point? So, here is a very simple recipe for tomato sauce that tastes just like what my grandmother and her sisters used to make, often cooked with chopped eggplant or chicken thighs on the bone…I am not quite sure what I am going to do with my quart of sauce – it is in the freezer where it will keep for a few months, but I suspect that I will soon be misting up with nostalgia for my abuela over a bowl of eggplant and this sauce over rice. If you are looking for an Italian style sauce, substitute the sofrito with a couple of sprigs of fresh basil (I may actually be doing that this afternoon with another batch while we still have electricity ) and add julienned basil at the end of cooking. This sauce can be made anytime, substituting tomatoes from a can, but it is at its most fresh, light and charming when you take advantage of really ripe tomatoes. In a heavy-bottomed 3-quart saucepan, heat the oil over medium heat and add the garlic. Cook, stirring, until fragrant, 1-2 minutes. Do not allow to burn. Add the tomatoes, sugar, sofrito and ½ tsp salt and bring to a simmer. Reduce heat to medium-low (a gentle simmer) and cook, stirring often until thickened. I simmer at least 30 minutes, but juicier tomatoes take longer. Taste and add salt, as desired. If using a food mill, use the medium blade. The peeled and seeded tomatoes will break up on their own, but you can run through the blender for a smoother texture.